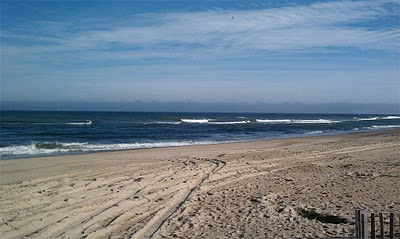 Bill's OBX Beach Life: Back in the Groove! 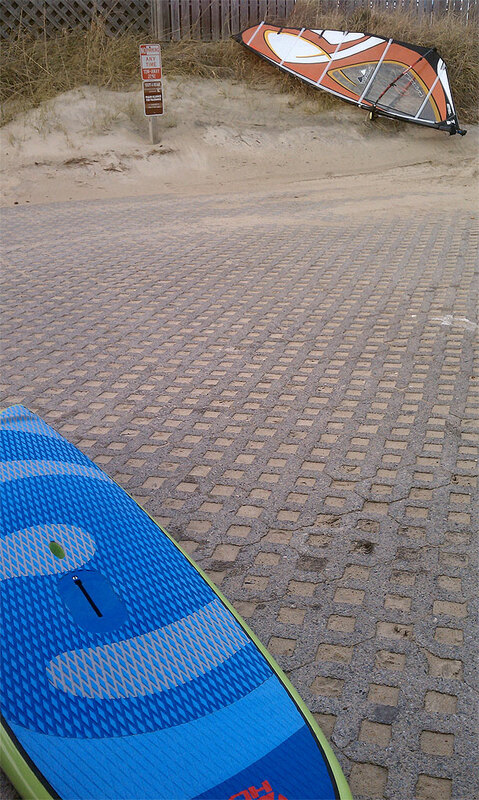 For 2011, I am sure to log many, many sessions on the SeaLion, especially locally on the excellent in-town sand bars which are set up this year! I also ran a recon run down to Coquina Beach just north of Oregon Inlet, and this year appears to have some promising sandbar setups there as well! Well formed outside bars with fun surf for SSW side-off conditions. Nice thing about Coquina is cleaner wind as there are no buildings to block the inside as compared to Enterprise St.
All in all, I have a feeling that 2011 will be the year for "light air" OBX wavesailing, and the SeaLion will be leading the charge for those days where it will be sharing the action with SUP and standard surf riders. Nice thing about the SeaLion though is its wavvyness and ability to make the lip and execute when needed! Note, I will likely be hosting a light-air oceanside SeaLion Demo in early May for anyone interested in taking the board out for a ride. The very informal demo will be scheduled during a window seeking fun side-off conditions, excellent surf lineup, and minimal shorebreak! Email me if you are interested in attending so I will have a rough estimate for board quantity available. Also, if you are simply interested in light-air, small surf wavesailing, come on out! I'd like to give that board a try this spring if I'm around! 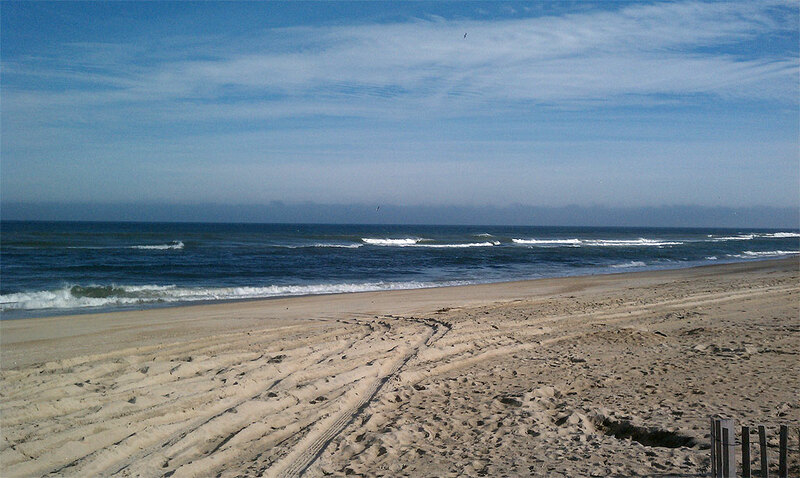 Start of a Cold Windy FUN Week on the OBX! More Weekend Wave Sailing FUN on the SeaLion! Need a Hatteras Wave Jam 2010 T-Shirt? !